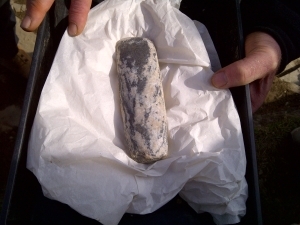 Whilst all eyes focus on Stonehenge as the centre of Pagan Great Britain, hundreds of miles away on the gentle island of Orkney, just off the north coast of Scotland, a new era is dawning with the discovery of a collection of Neolithic monuments that easily out-rank anything on the Salisbury Plain. Called a temple by Neil Oliver in the BBC’s A History of Ancient Britain, the `Ness of Brodgar` is the focus of a current archaeological dig that is astonishing, perplexing and bewildering the archaeologists. The finds so far describe an ancient healing and spiritual understanding that is breath-taking and humbling. For the Ancients of 5,000 years ago chose to build this healing sanctuary or temple in a place where the Sun, Moon, sea and Earth come together at extremes of their potency. In doing so they used the rare natural features of the land, plus the spiritual talents of the rocks, birds and animals around them to develop an environment of intensely effective and loving harmony with the Earth Mother and the Cosmos. And all in buildings older than Stonehenge or the pyramids of Egypt. For those who need a reminder – the European Neolithic period started in 4,000BCE with the advent of farming and ended with the introduction of metal working in 2,400BCE. 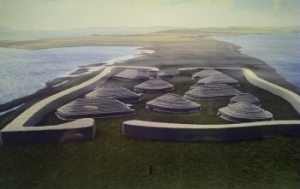 The Neolithic people are characterised by their use of polished rocks and buildings which were put to together using highly advanced building techniques. They worked with large or small stone slabs and even had flushing indoor toilets. The archaeologist and site director in charge of the dig, Nick Card, admits that the site was obviously of exceptional ceremonial and spiritual importance. The items they are discovering are not items of war; they are items of symbolic gentleness and beauty. As they un-earthed a beautiful, polished grey/blue and white axe-head shaped stone in front of my astonished eyes, I asked him “What type of stone it is?” and his awed answer was “A beautiful stone.” And so it is, as you can see from the photograph. It has since been identified as a rock called Gneiss, which is found on the islands of the Outer Hebrides. The Ness of Brodgar, has already established itself as possibly the most influential Neolithic site in Northern Europe. But it sits on an island of well preserved Neolithic monuments that are so impressive, much of the island has been designated a World Heritage site. And furthermore the islands of Orkney influenced the whole of the British Isles with their spiritual culture and astronomical wisdom. We know this because they created a style of grooved ware pottery that spread southwards along the coastland. Along with this went the need to build the huge stone circles that would be both ceremonial places, but also places from which the Sun and Moon could be tracked, measured and worshipped. The Ness of Brodgar predates Stonehenge by hundreds of years and this turns on its head the idea that the south influenced the north in these matters. By now, you are probably thinking “Why Orkney?” And the answer lies in its latitude. For Orkney is high enough to witness the Aurora Borealis or Northern Lights and just low enough to capture the Moon in its lowest orbit on the horizon – when it rises, skims the tops of the hills and then sets again. Since the Moon has its strongest effects on the Earth when it is on the horizon, this makes for a pretty potent energy. The fact that the Earth is a sphere with an axis that either leans away from the Sun or leans towards it, means that we have seasons and a Sun that appears to rise and set along a small arc in the sky at the winter solstice and a much bigger, higher arc in the sky at the summer solstice. In between times, the rising and setting appears to happen further and further along the horizon each day. The gap between the extreme position of winter and the extreme position of summer increases with latitude, meaning the Sun has further to travel each day. Let me explain that in a different way…. If you stand at the same place in your garden every day and watch the sunset, one day it’s over the gate post and the next day it’s moved along the horizon a little. If you live on the equator the sun rise and set doesn’t move at all, but if you live on Orkney you will see a really big difference ….. it positively scoots along the horizon from day to day, meaning its easy to measure, and this is what the Ancient Wise Ones needed. The Moon does something similar, but I won’t bore you further! On the thin strip of land either side of the Ness of Brodgar, two stone circles were built – one for precise measurements of the Sun and one for precise measurements of the Moon. These calculations were necessary for the planting of crops and spiritual awareness, but the Moon and its position are also crucial in bringing about effective healing and harmonising. 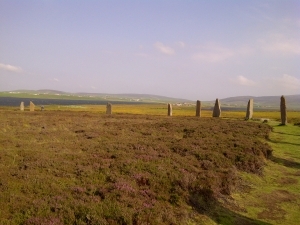 Island legend calls the two standing stone rings the `Temple of the Sun` and the `Temple of the Moon` and describes how the `balancing` or bringing together of the two energies would assist healing and magical cures. These two energies would be brought together at the central point between the two, where the Ness of Brodgar complex of buildings stand. Centuries later, couples would still be joined in `hand-fasting` ceremony at this point on the island, a symbolic act that began in pre-history. As if to reinforce this message, polished hematite has been found in one of the temple’s buidlings; a crystal that healers of today still use to balance the Masculine and Feminine or Yin and Yang energies of the body. It is thought to `ground` or earth the user into the centre – it is believed to make the spiritual physical. We can see then, that the Ancients would have had a use for this at the very centre of a little strip of land that is surrounded by water and has either side of it, two standing stone rings representing Masculine and Feminine energy. Perhaps there is an even more magical reason for creating a centre of balance between the Yin and the Yang and that was to ease the effects of Solar and Lunar eclipses. With the stone rings acting as observatories, the Ancient Wise Ones could have predicted eclipses and this was surely a prime concern of theirs. For ancient populations the world over, from Northern Europe to the Ancient Near East, India and China, the eclipse was a powerful event symbolised by a winged dragon with a knot in its tail. We can see the remnants of this mythology in the motif of St George and the Dragon, where the Hero battles the forces of the winged serpent or darkness. The familiar knots of Celtic artwork are also descendent of this symbolism. Such turmoil and terror could be invoked by eclipses, it was in the interests of the Ancients to appease the Sun and Moon, the Masculine and Feminine and this they could attempt to do in this special place. We will never know whether the Moon or the Sun was the more important, or which took the Feminine and which took the Masculine role, since there were many cultures that confused the genders. And in fact there is evidence that during the Neolithic times, there was a complete overthrow of one spiritual belief system for another, which just might have been from a Supreme Female or Nature energy to a more Masculine one. One only has to stand on the Ness of Brodgar to know what a sacred and magical place it was and still is. The small isthmus of land is mostly surrounded by water and that in turn is surrounded by low hills. Spiritually this is the element of Earth surrounded by Water, surrounded by Earth again. Since the point where land meets water is sacred, this area represents something very special. According to academics, the megalithic art of Orkney describes their deep respect for life and what went on around them. These people were immersed in the patterns of nature and the cycles of the heavens, so they must have revelled in the landscape around the temple. It is the spiritual feeling of being nestled on this little piece of land, cocooned by water and then surrounded by low hills. Places such as this, where they could easily watch the Sun and Moon, were believed to have intense spiritual and sacred connections. A strong affinity and identity with the characteristics of island animals is evident, with various bones from animals such as otters, eagles and cattle being mixed with human remains. The skulls of the dead were kept close within their homes and this is likely to be because the bones of those who passed into the `land of sleep` could still confer protection and magical influence to those in the living realm. The talents of the animals or the person could be retained and called upon to help with the struggles of life. Mythology from the Mediterranean often refers to certain Mystery Cults, in which initiates are introduced to realities of life and death by comparison to the life cycle of a grain of cereal. The deity concerned has different names in different cultures, but in each she can be described as a Great Mother Earth Goddess. Her rites liken the life cycle of a human to a cereal grain, with the young seed being the maiden, the ripening corn is the mother, the dried out husks are the old crone and the storage of the seed in the underground seed storage containers is likened to death, where we await transfer to an Underworld (planting in soil) and a re-sprouting or re-birth into a new life. We know that there was contact between the Mediterranean cultures and Orkney so there is no reason to suppose these spiritual beliefs weren’t shared, especially given that there is a clear link between the harvest and death on Orkney. Here, the pots that had contained barley were often found smashed to pieces in burial tombs and that is entirely consistent with the Mysteries, for in order to ensure that new life would be begin, symbolic death or destruction was invoked to stimulate it. The cycle was given encouragement with ritual destruction of elements of the old cycle. 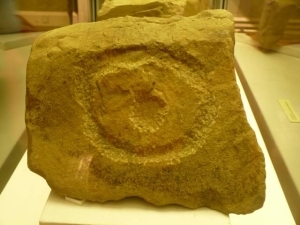 Astrology was practised by all ancient civilisations and interestingly the astronomical and astrological symbol for the Sun, which can also be found on the wall of an Egyptian tomb, was carved onto a rock that adorned a dresser in one of the buildings that make up the Ness of Brodgar site. (See photograph) This particular building is lined up with the Sun on the Equinox’s and the site director is on record as having said it would have been lit up by the Sun on those days. He innocently asks if the cup and ring could have represented the Sun. 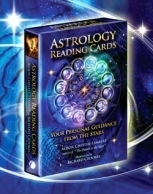 But the history of astrology can only trace the use of this glyph to relatively recent times, after 14th century AD. Was this glyph chosen to represent the Sun after discovery of its use by the Neolithic people of northern Europe? We could also ask if the arrangement of a ring of hills enclosing two half rings of water with the small piece of land and buildings at the centre had been a model for the symbol carved on the stone? 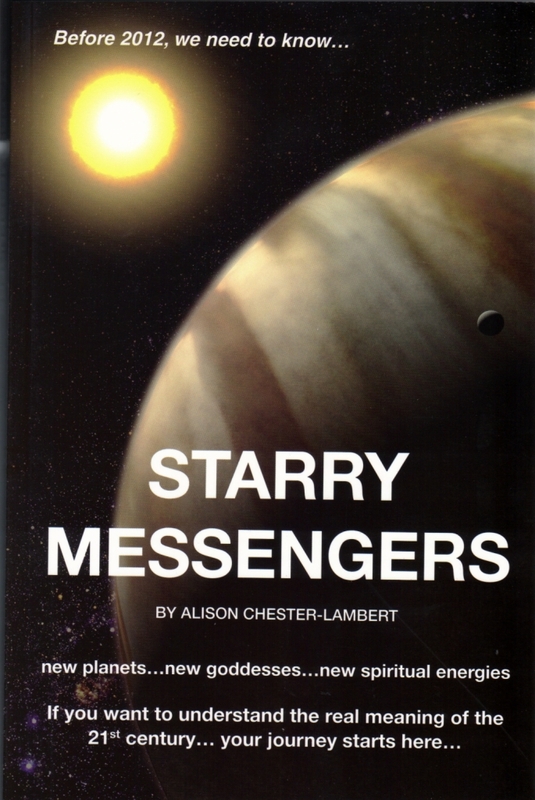 Or, did they seek a piece of landscape to match the previously known Sun symbol? Ground hematite produces powder of a red colour and this was also used to decorate this and some walls of the temple. Red is found in Sun and Moon rituals the world over because the Sun can appear red, as can the Moon during a partial eclipse. Did they do it for this reason? How frustrating that we shall probably never know the answer to so many questions! A Healing Sanctuary as well as a Temple? Orkney has a mild climate which is kept very stable by the warm Gulf Stream water; the average temperature for the summer is 12 degrees centigrade and in winter it is 8 degrees. The stability of this climate would have made life very comfortable in Neolithic times, as it does now. It is said that the wind can be a problem, but you only have to look at the thick walls of the Neolithic buildings to know it wasn’t a problem to them. However, this temperature stability would have a real use in one particular way and that is to ease aching joints. There is a very high incidence of degenerative bone diseases such as osteoarthritis, found in the Neolithic skeletons on the island, particularly in the spine. In short, these people suffered from back and joint pains. It is present in the remains of nearly 50% of those discovered and even in very young children. Did these people travel to the island to try to get a cure? Or were the native islanders just genetically pre-disposed to this painful condition? In any case, the sanctuary and temple at the Ness of Brodgar must have played a significant part in the treatment. Further evidence that points to the Ness of Brodgar being used as a healing centre can be found in their attention on the Moon. Hippocrates left us a clear indication of ancient beliefs surrounding the Moon’s power, for he warned against surgery or certain types of medical intervention when the Moon was in certain segments (Zodiac Signs) of the sky. Although the `Father of Modern Medicine` came centuries after the Neolithic age, he still echoed an empirical spiritual knowledge that has persisted throughout all times; the Moon has the power to heal. Given that the standing stones on one side of the monument align so carefully with the Moon, it is natural to assume they were used to help with this. The Ness of Brodgar is a rare and stunning opportunity for us to peer into the dim and veiled past. We are only given tantalising clues of how they lived and what their meaning and cosmology was all about. But what we can do is wonder at the ingenuity and insight of a special people who lived so harmoniously with the land, sea and wind. Their foot print is a light one… they did not harm the planet around them, they integrated with it, and we can only learn from such a gracious and peaceful people.